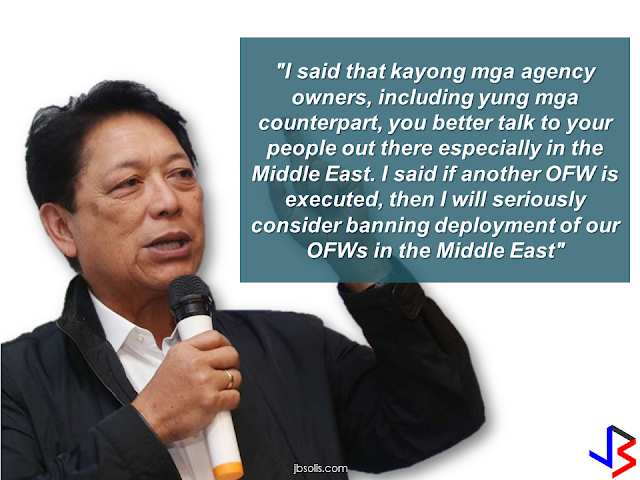 DOLE Secretary Silvestre Bello III has issued a statement in front of the officials of the recruiting agencies who are deploying OFWs in the Middle East that he will seriously consider to ban OFW deployment in the Middle East if another OFW will be executed. 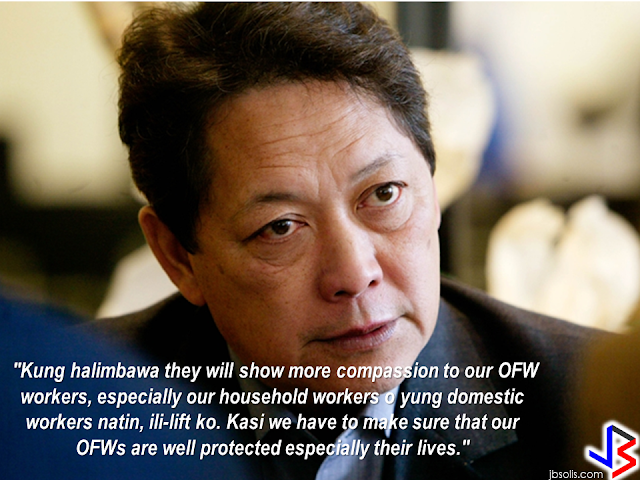 He also belittled the effect of banning the deployment of OFWs as this will only cover the household workers, who are the most vulnerable for maltreatment, harassment and abuse. If the temporary deployment ban will take effect, Bello said that he will lift it if the employers will show more compassion to the OFWs especially the HSWs. He reiterated that the government have to make sure that the OFWs are protected and their lives are safe. 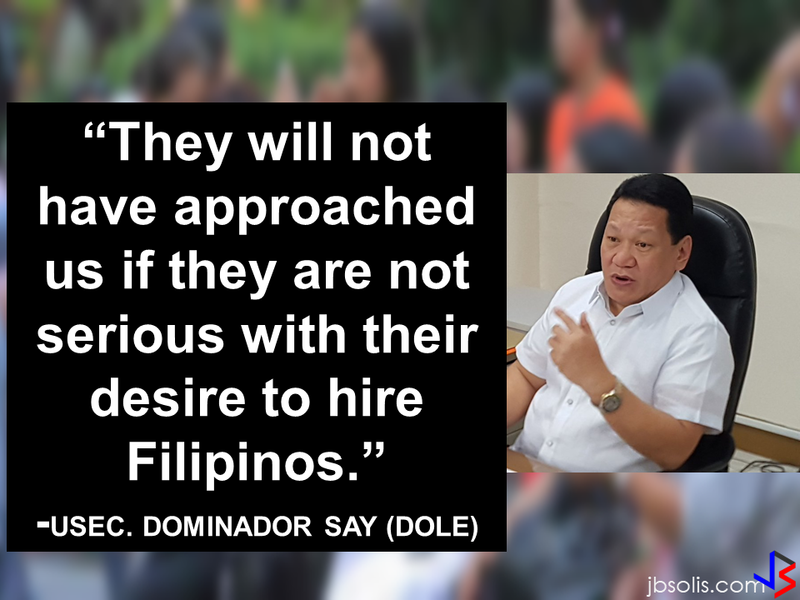 Bello said he is closely monitoring the performance of a number of Philippine Overseas Labor Office (POLO) personnel in the Middle East due to numerous complaints against them by OFWs. Filipino household service workers are in great demand not only in the Middle East but also in Europe and the neighboring countries in SouthEast Asia like Singapore, Malaysia, Hong Kong, Japan etc. If the deployment ban is imposed, may it be a temporary or permanent ban in the Middle East, our HSWs can always look for jobs and get hired in other parts of the world. Putting Middle East out of the option will not have any effect to the OFWs as they can fit anywhere in the world as long as our embassies can make sure that they are well protected and safe. They can even start a livelihood in the country by availing the assistance offered by the government for returning OFWs.